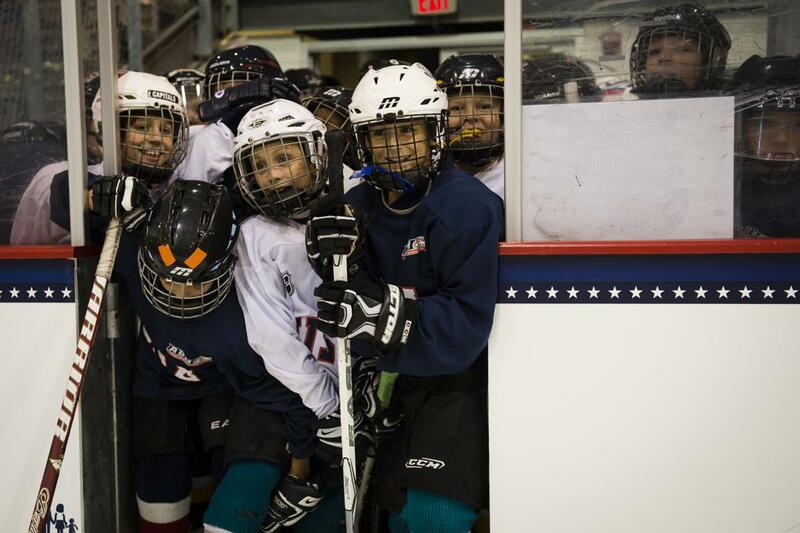 USA Hockey continues to see record-setting growth at the 8U level, thanks to initiatives like Try Hockey for Free Day. On March 3, more than 13,000 children ages 4 to 9 attended Try Hockey Day at rinks all across the United States. In Albuquerque, the turnout was just as remarkable for the New Mexico Ice Wolves, as over 150 kids took the ice at the Outpost Ice Arena. Ordinarily, rinks are given enough equipment for around 40 kids to use during the hour-long session. So many kids registered for New Mexico’s Try Hockey Day, three separate sessions were held, with 50 in each session. Thompson believes the U.S. Olympic Women’s Team winning the gold medal at last month’s Olympic Winter Games was a huge factor in generating excitement for Try Hockey Day. The foundation also handed out flyers at elementary schools, and ran 15-second ads on the local NBC television affiliate during the Olympics, promoting the event. Tim Jaglinski, head coach of the Ice Wolves’ house and travel teams, estimates the number of kids at past Try Hockey Days was 60 at the most, so this event greatly exceeded his expectations. Before kids went on the ice, coaches talked to them about how to get up after falling, how to hold the stick, and generally tried to put them at ease. Once kids got a feel for the ice, coaches gave them the opportunity to move around, then brought out pucks and let them have the thrill of scoring goals. Most of all, they were encouraged to enjoy the experience and have fun. About 40 volunteers comprised of coaches, board members and older players helped each child dress in full gear and conducted the on-ice sessions. Youth programs like the Ice Wolves are committed to more than just developing great players on the ice. Kids also learn the importance of building good character. Thompson and his staff received several emails from parents who were moved by the effort the older players made to spend time with the younger beginners during Try Hockey Day, giving them encouragement and cheering them on as they gained confidence. One parent praised an older 10U player who spent time with her son, patiently helping him dress and calming his initial fears of going out on the ice. The day was successful for the Ice Wolves on another front. New players were given the opportunity to sign up for Pond Hockey, an eight-week spring program for players wanting to take the next step toward playing hockey. Coaches conduct weekly one-hour sessions to prepare new players for further development. Of the 150 kids who attended Try Hockey Day, 48 had registered for Pond Hockey within the first week. More than 200 players from 4 through high school age are currently enrolled with the Ice Wolves. Thompson would like to see an increase in the number of high school players. The way to do that, he says, is to start at the grassroots level with 6U and 8U players.